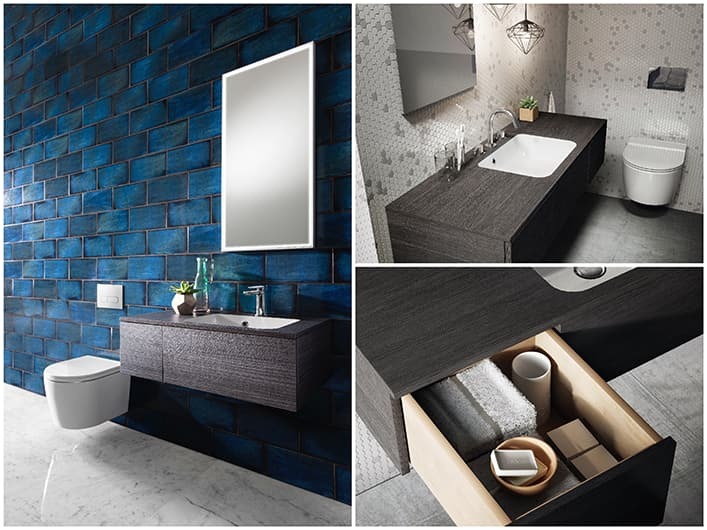 An essential for any organised bathroom, it’s important to carefully consider your choice of furniture to ensure a design that combines both style and practicality. With that in mind, for this month’s edition of the blog we’ve decided to explore our team’s top furniture picks, designed to suit any style or size of bathroom. Benefiting from an extensive collection of over 11 unique ranges to choose from, Crosswater furniture is created to suit your lifestyle. 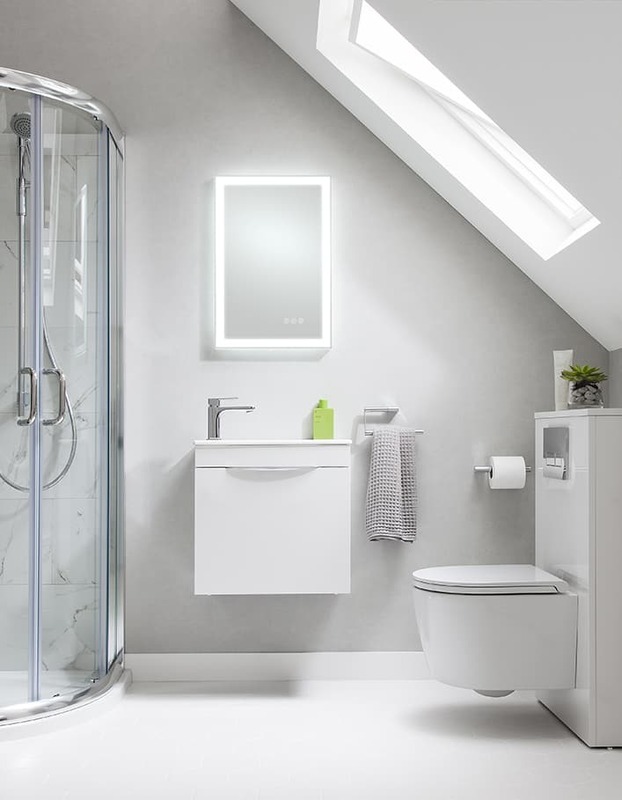 So, whether you’re looking for the maximum storage space possible for a family bathroom or need a slim cabinet to suit a snug cloakroom, there’s a design that will work for you. Taking inspiration from Art Deco style, the Waldorf collection exudes traditional design with time-honoured styling, angular lines and elegant softened edges that create a classic, distinctive aesthetic. 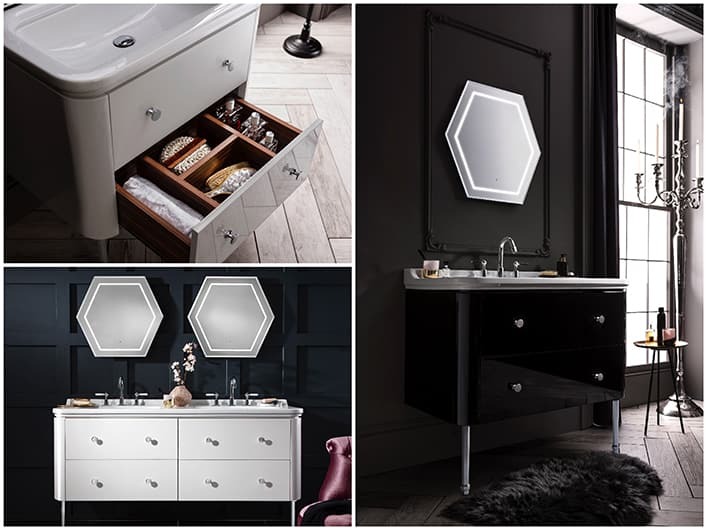 Presented in a refined choice of classic White or Black Gloss, the Waldorf vanity units are crafted with exquisite bevelled edges and a choice of classic rounded drawer knobs or high chrome bow handles. Combining high-class style with practicality, deep double drawers provide ample space for storing away all your bathroom essentials. Designed to coordinate effortlessly with our Waldorf basin mixers, the vanity unit is available in three sizes, from the compact 800mm wide unit to the grand 1500mm design with a double basin. 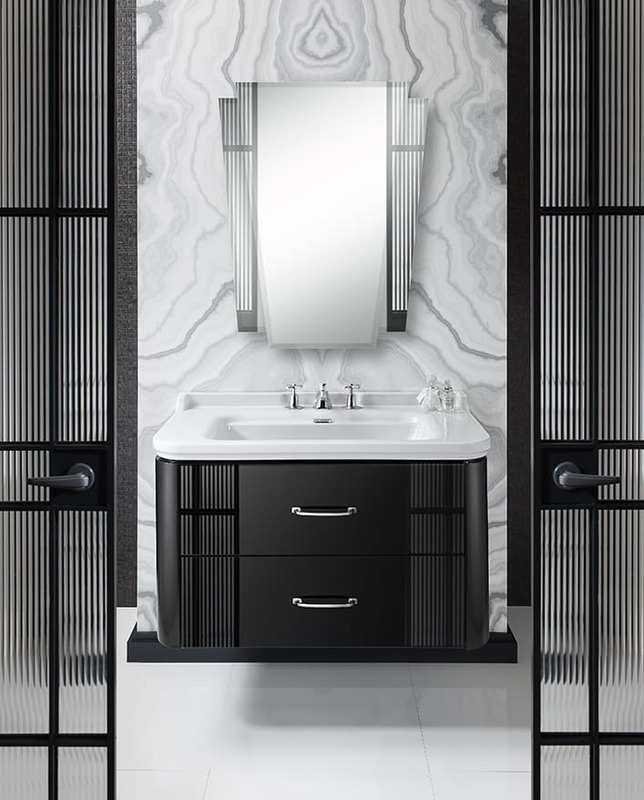 As well as the three sizes of vanity units, tall tower storage units and a towel rail have also been launched as part of the collection, all sympathetically designed in the style and essence of the 20s era. A practical solution for all bathrooms, Pier provides three size options for those looking to optimise on space. 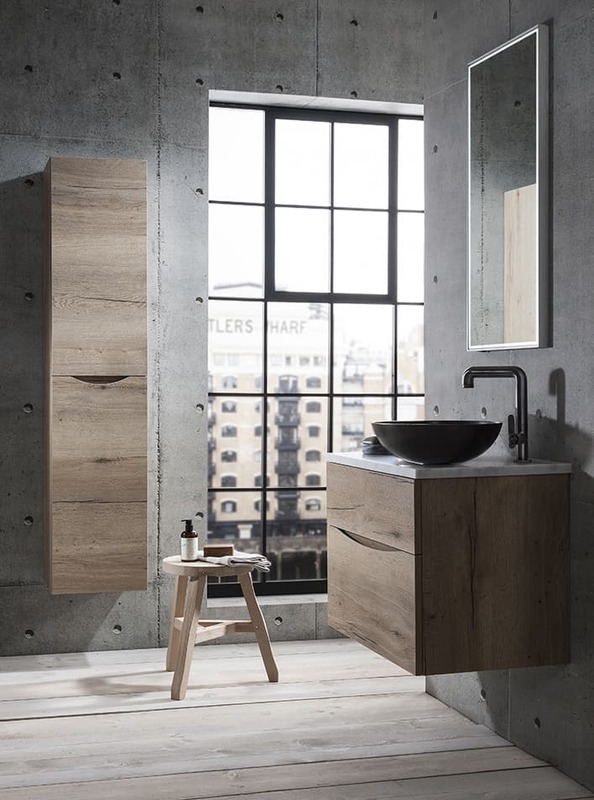 Celebrating a contemporary, minimal design style, the wall-mounted Pier unit features a large work surface area and generous full-depth drawers for storing toiletries. 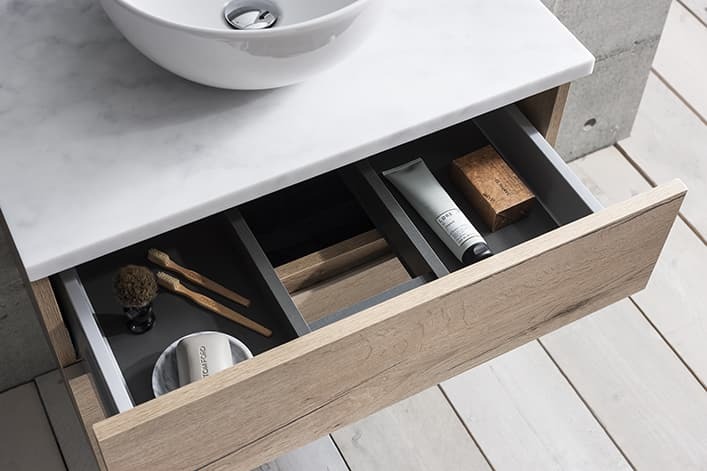 Available in both single and double draw options, the handleless vanity units are defined by seamless edges and beautiful exposed timber drawers. 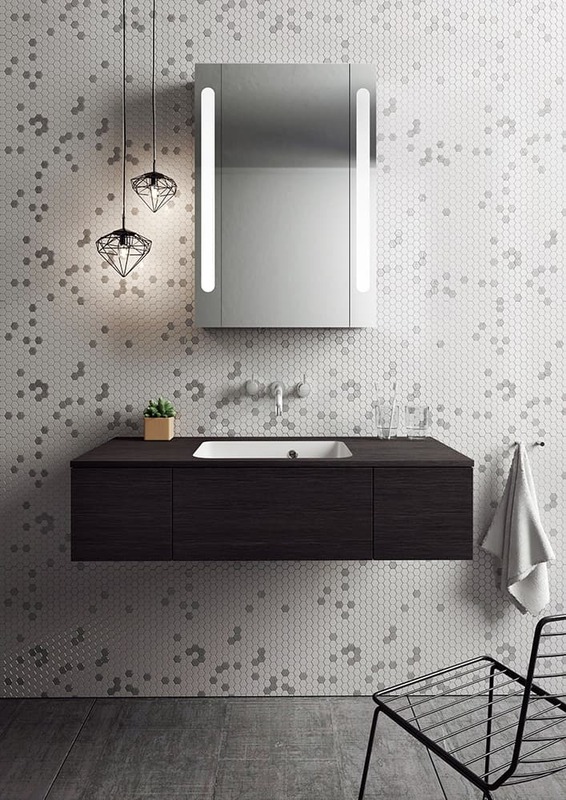 Expertly crafted from high-quality, water-resistant MDF and a specialist MED laminate worktop that is both scratch and stain resistant, the striking wood veneer finish is perfect for achieving a natural look in the bathroom. Choose from rich Anthracite or decadently dark Steel and complement your Pier furniture with a sleek cast marble inset basin and a coordinating freestanding unit for even more storage space. The ever-popular Glide II furniture range remains a staple within our collection and reveals the most choice when it comes to colour and finish. Reflecting superior quality in design, Glide II is crafted to face the challenges of everyday bathing, with the finest colour, performance and strength ensured for your bathroom. Available in five colour options, the latest finish Windsor Oak explores the trend for natural surfaces and is complemented by the dark tones of Driftwood and the rich American Walnut finish. For a more subtle scheme, the Glide II collection is also available in classic White Gloss and on-trend Storm Grey. Available in three sizes, the smart wall-hung vanity unit embraces contemporary functionality with its elegantly curved recessed handle and modern angular lines. Generously proportioned double drawers inside offer ample space for storage, whilst the range of coordinating tower units feature internal shelves perfect for stowing away towels and toiletries. 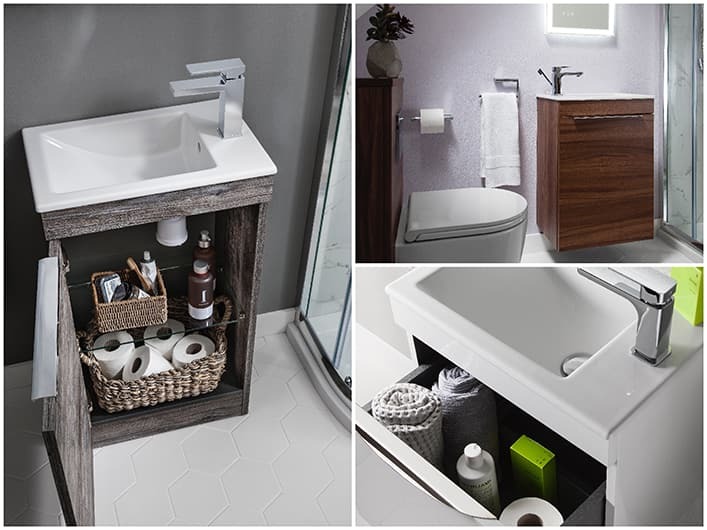 Focusing on achieving maximum style regardless of the space available in your bathroom, the Zion Petite Collection includes generous storage capacity despite its reduced proportions. The wall-hung unit of our Zion Petite range is designed in three heights, ranging from a compact 50cm up to 87cm, with the smaller unit featuring a handy pull-out storage drawer and the larger cabinets accessed by a soft-hinged door. Behind the door of each design, a toughened glass shelf provides space for all your bathroom essentials and is perfect for keeping your bathroom or cloakroom clutter free and tidy. 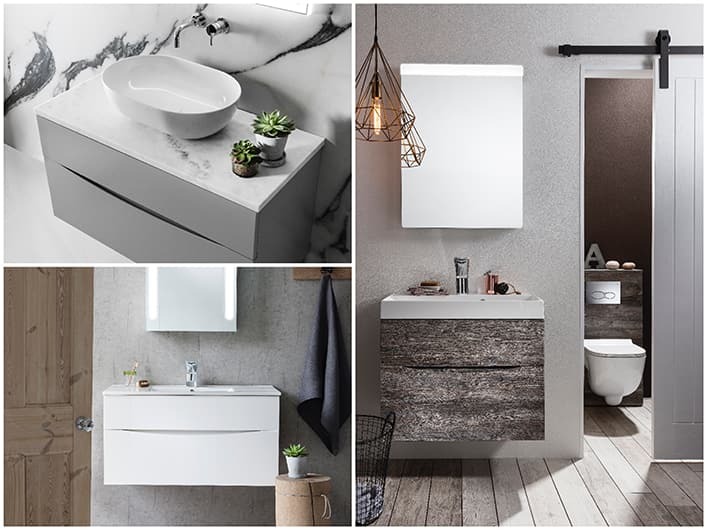 The finish options for Zion Petite include, sleek White Gloss, rustic Driftwood and rich Natural Walnut, allowing Zion furniture to effortlessly complement a breadth of bathroom schemes. Understanding that function shouldn’t have to be compromised in smaller spaces, the basin and therefore tap hole and overflow, can be positioned either to the left or right hand side, ensuring you can easily access the bowl, despite any space restrictions.